My goal in this comparison was to use a few different modifiers of similar size but vastly different costs to determine if the more expensive modifiers would yield superior results in terms of quality of light. For this (subjective and non-scientific) comparison, I used a Canon 5D MKIV and Profoto B10 in TTL mode, allowing the camera to set the proper exposure for an aperture value of f4, ISO 100 and shutter speed of 1/125. I approached this from a “real world” use scenario. There were small differences in terms of loss of light between the three modifiers, but this experiment was not focused on efficiency of the modifiers, only the resulting quality of light. I kept the distances to the subject and the angle of the light generally the same. My model for this experiment was our tried and true crash test dummy Meghan the mannequin. Build quality is nowhere near the more expensive models and will likely have a shorter lifespan than “pro level” gear. I would be worried about relying on a lower-cost modifier for an important shoot. Theses are umbrellas and we all know how prone those are to bending a rib inside etc. making them unusable. The smaller model in this experiment used a standard umbrella architecture inside, and the larger uses a combination of metal and plastic ribs. After reading all the reviews, some experienced issues after a few uses, but Godox was good about replacing broken units. 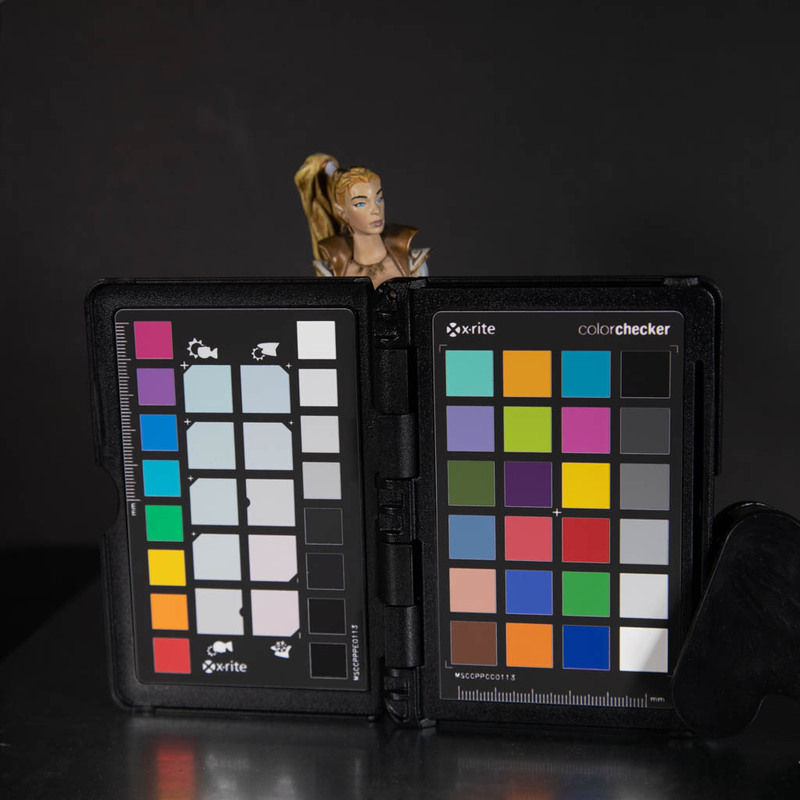 Many low-cost modifiers that come with front diffusion material often use fabric whiteners to get the material ultra-white. This process can cause color shifts especially toward blue in your images. Did I mention they break easily? The Godox units were really low cost. I got them on sale for 22 and 32 dollars. If you are new to light modifiers and strobe work, these can be a good learning tool. The umbrella modifiers are easy to transport, and as long as your strobe has an umbrella hole, you are all set. Even if you get a Godox S-type bracket to use with a speedlight the weight and portability of your lighting kit will be worth it. The umbrella softboxes are very easy to setup compared to a softbox. They open like a regular umbrella and you put the pole inside into the hole in your flash or flash bracket. I know lots of beginning photographers (and some old grizzled ones too) that hate setting up the rods and speedrings of the softboxes so much that they just leave them up once they are assembled. Both Godox units come with Velcro-attached front diffusion material. This is something that typically costs around $100 for higher-end modifiers. On a related note, you can buy the grids for the umbrella modifiers for about $20. Before we talk about how the Godox umbrellas stacked up against the Profoto Octabox, let’s look at how the 32-inch umbrella did compared to the 47-inch. Was it worth the cost to get the larger unit? In short, no. There simply isn’t enough difference when looking at the images of Meghan from the 32 and the 47-inch units. Look at the shadows on the chin and nose, they are reasonably soft, but I expected more light wrap from the 47-inch unit compared to the 32. Both modifiers soften the light reasonably well, but I would likely use a second layer of diffusion if I were to use these for “real” images. The other aspect that surprised me about these modifiers was that there was little color shift from the front diffusion material. Still overall, I was surprised these low-cost modifiers performed as well as they did. How did the Godox units compare to the Profoto 36-inch octabox using the same camera and strobe? Surprisingly not too bad. Looking at the shadows on Meghan’s chin and nose, they are much softer and smoother than the ones from the Godox umbrellas. Also, look at the way the light is wrapping around her cheek on the left of the frame, much softer and smooth. For my work, I would still go with the Profoto softbox over the Godox units, but I plan to use the smaller Godox modifier for location shooting when weight is a concern. I have a 5-in-1 reflector that works great as a second diffuser. For an entry-level modifier, the Godox umbrellas do surprisingly well. I worry about their build quality and only time will tell how long they will last with daily use. If you are just getting into strobes and looking to experiment with some reasonably priced modifiers that you can hone your skills with, these are great. I’m not convinced that the 47-inch unit is worth the extra money and larger size (doesn’t fit in a suitcase), but honestly these modifiers are a good deal. As you grow as a photographer, you will likely grow out of these, but they are serviceable units for learning and most applications – and yield very reasonable results in terms of quality of light.